"The Customs Union plan has cross-party support and can be billed as the compromise solution. The problem is it will split the Tories down the middle." Betfair markets now rate it likelier than not that there will be a UK General Election in 2019, after the Withdrawal Agreement was rejected by parliament for a third time - albeit by the narrower margin of 58 votes. Odds of [1.86] reflect an emerging consensus amongst pundits that an election is inevitable, given the political impasse. However that could also reflect that we are no more capable of predicting what on earth will happen next. There are plenty of arguments against it. As I write, there is news of a group of ministers descending on Number Ten - alongside the caveat that they aren't going to demand her resignation. Nevertheless, this weekend will be even more rife with rumours than the last - which predicted no fewer than four different new PMs. 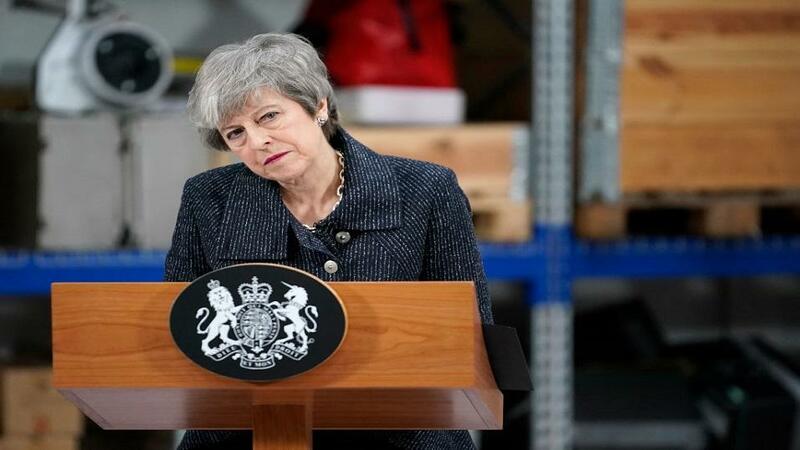 Having announced she would quit if her deal passes, Theresa May is [2.14] to leave post between April and June or [21.0] to go before the weekend is out. Her position is completely untenable but there's no indication she will stand down before trying once again with the Meaningful Vote. As for Brexit, the chance of it happening any time soon is shrinking fast. The EU's deadline to pass the deal in time to leave on May 22nd has been missed and that could mean a long delay, or even revocation of Article 50 in order to avoid leaving without a deal on April 12th. Nothing can be ruled out though - including the latter, despite the clear of will of parliament to prevent it. A No Deal Brexit at any point in 2019 is available to back at [3.7]. Only slightly bigger than A50 to be Revoked at [3.4] or an In/Out Referendum in 2019 at [3.25]. See below this article for links to a wide array of political betting markets. A second round of indicative votes are scheduled for Monday, and this time something will likely emerge. Among the various options explained on Wednesday, the two realistic options are for a Customs Union - which the EU will agree to quickly - and a referendum. Margaret Beckett's amendment for a 'confimatory referendum' on the Withdrawal Agreement only lost by 27 votes. Nearly one hundred MPs abstained so the numbers might just be there. Were it to win second time around, it would be hard for the government to resist and even harder for Jeremy Corbyn to resist making it official Labour policy. The Customs Union plan is, in my view, likely to pass, having lost by just six votes in Wednesday's first round. It has cross-party support and can be billed as the compromise solution - the 52/48 answer. The problem, as the Cabinet are doubtless discussing, is it will split the Tories down the middle. The peril facing the Conservative Party right now is profound. Without finding a very rapid solution, the UK will have to participate in the Euro elections - rated 75% likely at odds of [1.33]. A set of elections in which they will be destroyed by protests for purer Brexit alternatives. Today's protests demonstrate the anger out there. The two plausible solutions parliament could offer to avoid them are anathema to the Tory members who will soon decide on May's successor. Would any candidate dare support a customs union or a referendum, and what would happen to their chances? Despite May effectively firing the starting gun with her statement yesterday, there has never been such a wide-open Conservative Leadership Contest. Normally at this stage there is a clear front-runner, trading well below [3.0]. For the latest renewal, Boris Johnson is an unconvincing [5.5] favourite with only four below [10.0]. All manner of outsiders have been mentioned in the press and this could be an amazing betting heat - involving ten or more contenders. At this stage I'm very happy with my long-term predictions Michael Gove and Dominic Raab - and the arguments laid out for the former on Monday. Gove remains the bet.